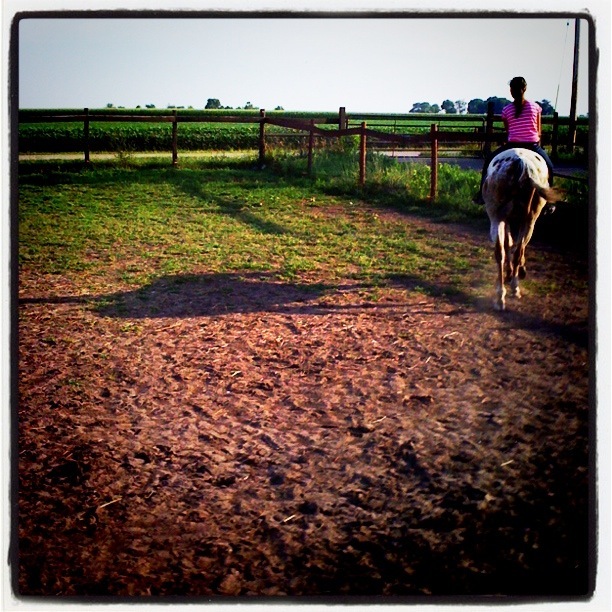 The end of the hot day and my daughter takes her horse for one last lap around the arena. Shot with my iPhone, using the Instagram App. Linked up to Wordful Wednesday, even though there aren't so many words today. What a great shot! Looks like you've had a busy, fun-filled Summer! Hope you're keeping cool in all this heat. Love that shot! And instagram is my favorite app I think! She is in heaven for sure. Love this shot.